Is This the Ecommerce Platform of the Future? 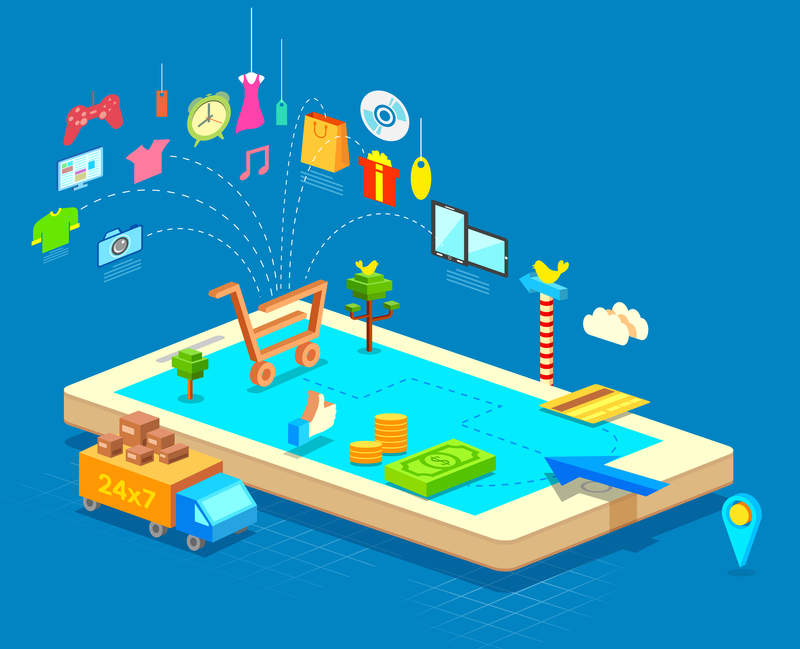 If you're a regular reader of "How to Win at Ecommerce" then you'll have read about the many different ecommerce platforms that are out there on the market, how to choose between them, and how and when to replatform as your online retail business grows. As you start out, your platform just needs to give you a website and tell you when an order has come in. The rest you can do yourself, while you work out exactly how successful you're going to be, and how quickly you're going to get there. But by the time you have to cater to thousands of orders a day, like Net-a-Porter, the technology that you base your store on becomes rather more vital. Suddenly you're thinking not just of having a website, but of what kind of functionality it needs to have. What specific structure and design you want, that matches your brand perfectly. How it plugs into stock management, order management and overall enterprise resource planning. How it informs and guides both merchandising and buying decisions. And much, much more on top of this. You start your search for the ultimate ecommerce platform. So since it’s almost Christmas, let’s dream for a bit. If we could have anything we wanted, what kind of ecommerce platform would we ask Santa to bring us? Well firstly, one where the content is fully, completely, totally dynamic. And I don’t just mean that you can have popups that give you offers, or that you have a cross-sell box with product recommendations. I mean that the platform is built in such a way that there is no specific set structure at all. Some people like to see lots of products, some people like to see fewer. Each has their own preference for what order to see them in, and each has a different path through the customer lifecycle. So instead of trying to “fix it” using overlaid technology, why don’t we ask for a platform that shows people exactly what they want to see, at the time that they want to see it. Google has done this pretty perfectly for search engine results. Amazon has done this pretty perfectly for online retail. Why can’t the rest of us have that? What would we build into this fully dynamic platform? We’d start with automatic understanding of the customer lifecycle. Acquiring customers, activating them, and then retaining them – all of these require very different approaches. So we need to know what stage each customer is in, and then what to show them to take them to the next step. The data is there – we can tell where each customer has come from, how many times they have visited, and what they’ve been looking at. If they’re still at the activation stage, then we need to woo them, carefully, with amazing products that they’d be interested in, and wouldn’t be afraid of buying. Once they’ve bought, we can subtly remind them of their great experience, and suggest others to buy – but not through a box that makes it obvious that we’re trying to upsell them. How much better would this be if the upsells were just part of the continuing browsing experience? And finally, we would send them individually personalised e-mails, either if they leave the site without buying something, or to thank them for their purchase and suggest some further steps like leaving a review, sharing or even buying some more. So fully dynamic content, and automated customer lifecycle marketing – built directly into the platform. Sounds great. Can we do better? I think we can. What if we plug in visibility, stock and profitability analysis. Now we aren’t just optimising for the customer, but we’re optimising for the business itself. Lots of stock of a high-margin product? Then let’s make sure that it gets more visibility so we sell. Already running out of a product that we can’t re-order? Then let’s stop showing it as we’re wasting valuable screen real estate. Is there a specific group of customers that only ever buy low-margin products? Let’s stop showing them those, and if they don’t buy high-margin ones, then cut the spend on the marketing channel that drives them to our site and focus on the hero customers instead. This all sounds too good to be true, right? So is it actually possible? Well absolutely. The technology for all of this exists. Content this dynamic can be presented and optimised using the same technique currently used by specific A/B testing tools. It’s called the Multi-Arm Bandit, and it means that different options are shown to different people, and over time the ones that are most successful end up being shown more often than the ones that aren’t. Even if trends change and different options become more successful, the Bandit is able to keep on top of this. Customer lifecycle marketing, and visibility, stock and profitability analysis is available right now through analytics tools that plug into your ecommerce platform. There’s only one reason that this super-platform doesn’t exist right now, and that’s the fact that the latest, most cutting-edge large-scale ecommerce platforms, have all been around for almost a decade.